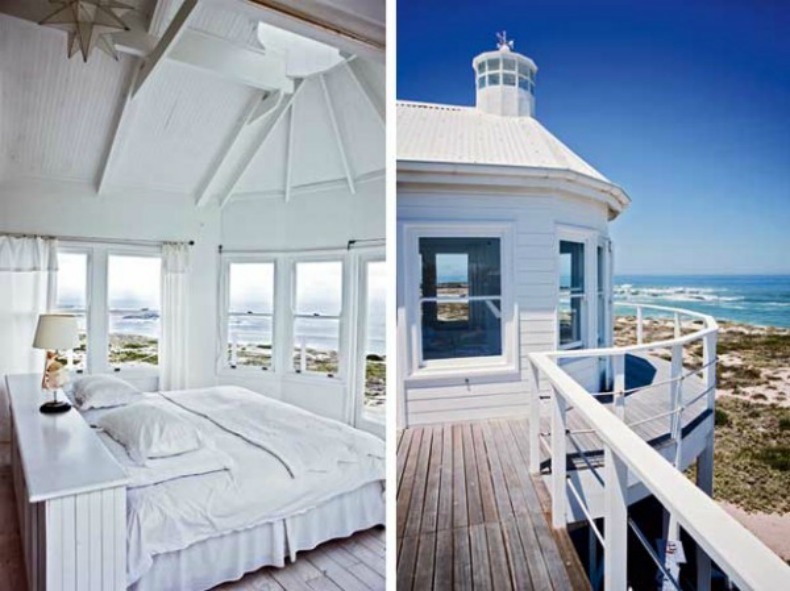 This bright white timber wood beach house is located in Yzerfontein, a South African fishing village north of Cape Town. 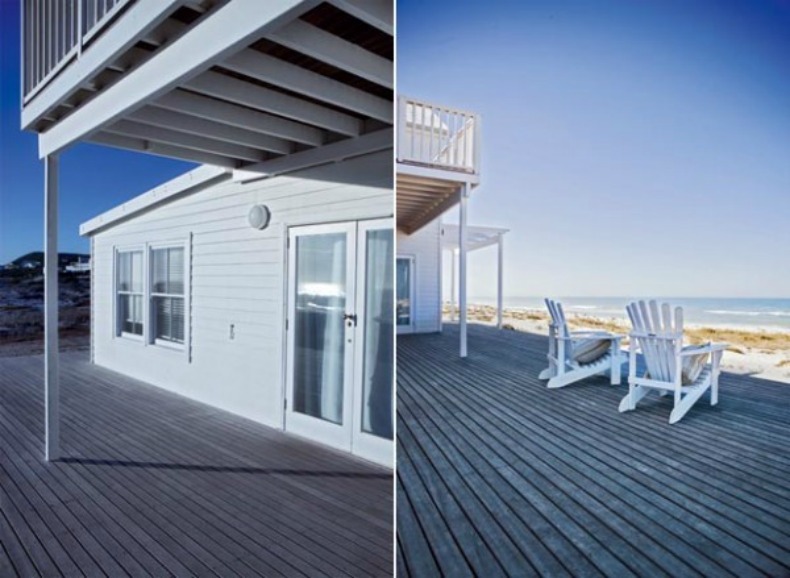 The beach house is built entirely in wood to blend in with the typical architecture of the area. 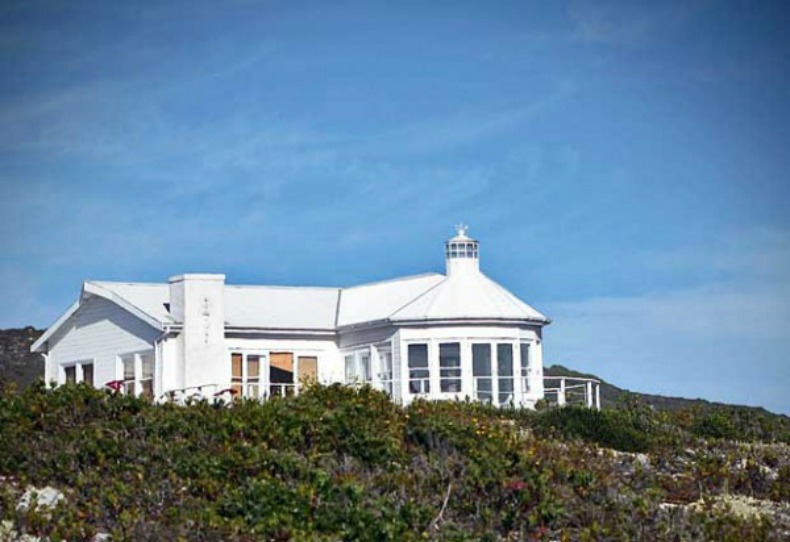 Large and numerous windows open on all sides providing wonderful views of the ocean and making the rooms bright and airy. 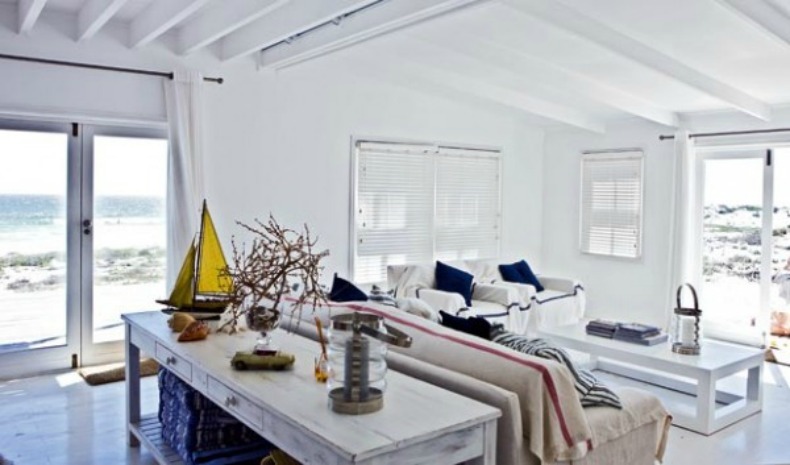 White is predominant in the interior with blue accents to reinforce the beach look and the natural texture of wood to add warmth. All of the white surrounds the room allowing the touches of blue and pop of yellow to shine. 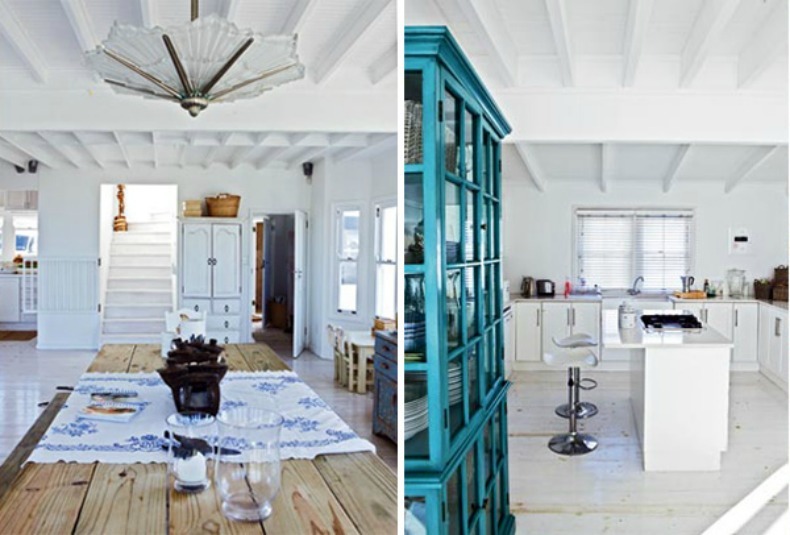 This dining space is a cool collection of farmhouse and vintage pieces. The simplicity of color in these spaces shows awesome texture and tones of the wood. 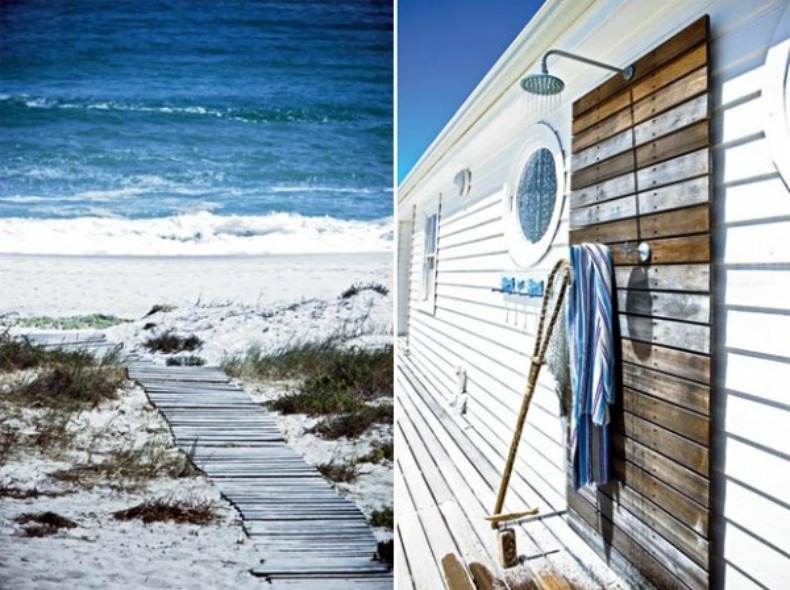 It may be in South Africa, but it reminds me of a Nantucket beach house, from the wood plank pathway to the outdoor slatted wall shower. Salty morning air or breezy sunset warmth, this deck is a beautiful place to enjoy it all.